1. Kornberg R.D ., Tomas J.O. Chromatin Structure: Oligomers of the Histones // Science. 1973. Vol. 184. N 4139. P. 865–868. 2. Bondarenko M.T., Maluchenko N.V., Valieva M.E., Gerasimova N.S., Kulaeva O.I., Georgiev P.G., Studitsky V.M. Structure and function of histone chaperone FACT // Mol. Biol. 2015. Vol. 49. N 6. P. 796–809. 3. Formosa T., Eriksson P., Wittmeyer J., Ginn J., Yu.Y., Stillman D.J. Spt16-Pob3 and the HMG protein Nhp6 combine to form the nucleosome-binding factor SPN // EMBO J. 2001. Vol. 20. N 13. P. 3506–3517. 4. 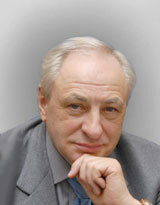 Valieva M.E., Armeev G.A., Kudryashova K.S., Gerasimova N.S., Shaytan A.K., Kulaeva O.I., McCullough L.L., Formosa T., Georgiev P.G., Kirpichnikov M.P., Studitsky V.M., Feofanov A.V. Large-scale ATP-independent nucleosome unfolding by a histone chaperone. // Nat. Struct. Mol. Biol. 2016. Vol. 23. N 12. P.1111–1116 . 5. Saunders A., Werner J., Andrulis E.D., Nakayama T., Hirose S., Reinberg D., Lis J.T. Tracking FACT and the RNA polymerase II elongation complex through chromatin in vivo // Science. 2003. Vol. 301. N 5636. P. 1094–1096. 6. Mason P.B., Struhl K. The FACT complex travels with elongating RNA polymerase II and is important for the fidelity of transcriptional initiation in vivo // Mol. Cell. Biol. 2003. Vol. 23. N 22. P. 8323–8333. 7. Cheung V., Chua G., Batada N.N., Landry C.R., Michnick S.W., Hughes T.R., Winston F. Chromatin- and transcription- related factors repress transcription from within coding regions throughout the Saccharomyces cerevisiae genome // PLoS Biol. 2008. Vol. 6. N 11. P. 277–281. 8. Reinberg D., Sims R.J. De FACTo nucleosome dynamics // J. Biol. Chem. 2006. Vol. 281. N 33. P. 23297–23301. 9. Hsieh F.K., Kulaeva O.I., Patel S.S., Dyer P.N., Luger K., Reinberg D., Studitsky V.M. Histone chaperone FACT action during transcription through chromatin by RNA polymerase II // Proc. Natl. Acad. Sci. U. S. A. 2013. Vol. 110. N 19. P. 7654– 7659. 10. Stillman D.J. Nhp6: A small but powerful effector of chromatin structure in Saccaromyces cerevisiae // Biochim. Biophys. Acta. 2010. Vol. 1799. N 1–2. Р. 175–180. 11. Ruone S., Rhoades A.R., Formosa T. Multiple Nhp6 molecules are required to recruit Spt16-Pob3 to form yFACT complexes and to reorganize nucleosomes // J. Biol. Chem. 2003. Vol. 278. N 46. P. 45288–45295. 12. Xin H., Takahata S., Blanksma M., McCullough L., Stillman D.J., Formosa T. yFACT induces global accessibility of nucleosomal DNA without H2A-H2B displacement // Mol. Cell. 2009. Vol. 35. N 3. P. 365–376. 13. Yu Y., Eriksson P., Stillman D.J. Architectural transcription factors and the SAGA complex function in parallel pathways to activate transcription // Mol. Cell. Biol. 2000. Vol. 20. N 7. P. 2350–2357. 14. Biswas D., Imbalzano A.N., Eriksson P., Yu Y., Stillman D.J. Role for Nhp6, Gcn5, and the Swi/Snf complex in stimulating formation of the TATA-binding protein-TFIIADNA complex // Mol. Cell Biol. 2004. Vol. 24. N 18. P. 8312– 8321. 15. Dowell N.L., Sperling A.S., Mason M.J., Johnson R.C. Chromatin-dependent binding of the S. cerevisiae HMGB protein Nhp6A affects nucleosome dynamics and transcription // Genes. Dev. 2010. Vol. 24. N 18. P. 2031–2042. 16. Pestov N.A., Gerasimova N.S., Kulaeva O.I., Studitsky V.M. Structure of transcribed chromatin is a sensor of DNA damage // Sci. Adv. 2015. Vol. 1. N 6. e1500021. 18. Kireeva M.L., Walter W., Tchernajenko V., Bondarenko V.A., Kashlev V., Studitsky V.M. .Nucleosome remodeling induced by RNA polymerase II: Loss of the H2A/H2B dimer during transcription // Mol. Cell. 2002. Vol. 9. N 3. P. 541–552. 19. Dyer P.N., Edayathumangalam R.S., White C.L., Bao Y., Chakravarthy S., Muthurajan U.M., Luger K. Reconstitution of nucleosome core particles from recombinant histones and DNA // Methods Enzymol. 2004. Vol. 375. P. 23–44. Хсиех Ф.К., Козлова А.Л., Герасимова Н.С., Котова Е.Ю., Формоза Т., Студитский В.М. РОЛЬ БЕЛКА NHP6 В ТРАНСКРИПЦИИ НУКЛЕОСОМ IN VITRO. Вестник Московского университета. Серия 16. Биология. 2017;72(4):253-257.